Each day, a business owner is given a daunting task: improve productivity while managing costs. 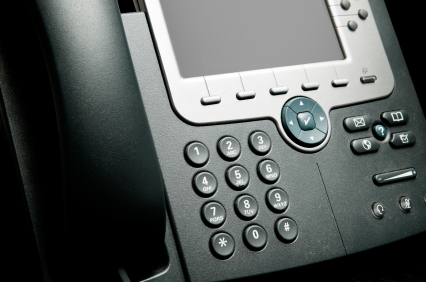 Very few implementations can accomplish both more effectively than IP Telephony. The technology opens the door to a completely new way of communicating with customers, vendors, and each other. From unified messaging to call center solutions to managing a mobile workforce, an IP Telephony communications system is the key, and whether for a single 5-person office, or a large multi-site enterprise, PacificIP can help you design, build and support a phone system that works for your business. PACIFICIP sells and supports the Samsung OfficeServe 7100/7200/7400 series business telephone switch and associated IP handsets. Polycom is a leading provider in voice and phone systems for businesses. Polycom offers solutions that enable their geographically dispersed workforces to communicate and collaborate more effectively and productively over distances. Using Polycom telepresence, video, and voice solutions and services, people connect and collaborate from their desktops, meeting rooms, class rooms, and mobile settings. Nextiva is a leading provider in phone systems for companies, enabling businesses to communicate and operate efficiently whether internally inside a corporate office or halfway around the world. As an alternative to premise-based PBX, Hosted IP-PBX requires no upfront purchase of equipment. Hosted IP-PBX is a hosted service that uses the Internet to provide voice functionality. Boost the productivity of your regular phone lines by tapping into the power of the internet. Hosted IP-PBX gives you local, long distance and data services over a managed network connection; a direct internet line that delivers consistent clear voice service along with reliable internet connectivity. The benefits of IP Telephony are dramatic and cost effective and integrate seamlessly with your other internet based business applications. PacificIP offers Hosted IP-PBX equipment, cabling, installation, and support. Our systems are cost effective and easily adapted as business grows. We can offer you support from 4 to 400 telephones that seamlessly integrate into your existing network. PacificIP is the ideal partner to help deliver IP Telephony benefits to your business. SIP Trunking allows your business to combine voice, data and the Internet using your IP-PBX phone system. The major benefits of our SIP Trunking technologies include the ability to reduce recurring costs of separate voice and data services, the ability to boost network capacity without the expense of more lines, and increased productivity by utilizing VoIP through leveraging your existing IP-PBX equipment. Our SIP Trunking services are ideal for businesses with up to 10 locations and less than 500 employees that want to maximize their voice and data capabilities at each location. PacificIP offers VoIP equipment, cabling, installation, and support. Our systems are cost effective and easily adapted as business grows. We can offer you support from 4 to 400 telephones that seamlessly integrate into your existing network. PacificIP is the ideal partner to help deliver IP Telephony benefits to your business.